Please tell these suppliers you saw their ads in Growing for Market! COG Pro: The Online Solution to Organic Record Keeping. COG Pro is an easy-to-use system that satisfies the USDA standard for Certified Organically Grown record keeping. All your records are in one online motebook, available from anywhere in the world. Powered by our secure online database, COG Pro makes generating reports for certification a snap. From headache to problem solved. Deep Grass Nursery specializes in certified-organic transplants for farms, market gardens and CSAs. One tray to 1,000 trays. Our plants are produced in our greenhouses located in Southern Delaware on the Delmarva Peninsula. We ship plants via UPS and FEDx to locations across the country. 302-398-4413 or Email us at deepgrass@hughes.net. Drip Irrigation - DripWorks offers a complete line of drip irrigation supplies for your farm. We supply T-Tape, pressure compensating emitter tubing, Agribon row cover, filters, fertilizer injectors, and much more. Shop online at www.dripworks.com or call 800.522.3747 for a free catalog. Commerical pricing and products available. Farmer's Friend is dedicated to supplying you with well designed, quality tools for the everyday demands of your farm! To see how you can save hours harvesting salad greens, take a look at our Quick Cut Greens Harvester, HERE. Canopies by Fred's mission is to bring people together and help build strong communities. We do so by offering the highest quality tents, accessories and services at the best value to special event and outdoor markets.We have been serving the outdoor market and event industry for over 25 years. Although there is no longer an actual Fred working here, the name “Canopies by Fred” remains unchanged. It has become a highly respected name with outdoor venders and the event industry. Fertrell has built a reputation for quality and service that’s second to none. Each product is built upon years of experience and time-tested for maximum results. Unlike chemical fertilizers, which can raise the soil’s acidity and slow natural decomposition, Fertrell products are proven safe and effective - just like nature intended. FormTex Plastics stocks clamshells and corrugated trays -- always in stock! We have a complete line of recyclable products and all products are made from food-safe recycled materials. One case to a truckload! Call David Grice at 800-669-5634 extension 120 or email for more information and prices. G&M Ag Supply is a distributor of greenhouse structures, greenhouse supplies, custom-made shade cloth, landscape fabric, plastic pots and nursery containers, frost fabric, bird netting, row covers and erosion control products. Email gmagsupply@npgcable.com or phone 800-901-0096. Grower's Discount Labels, LLC -- We design and produce labels for direct marketing and value-added products, serving the small, family farm. We supply a high-quality product at a discounted price with personal service at every step. Our free, easy-to-use catalog is available by calling toll free 800-693-1572 or emailing growersdiscountlabels@tds.net. 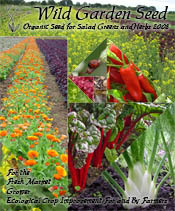 Prices and catalog pdf can be viewed online at growersdiscountlabels.com. Growers Supply is a one-stop shop for greenhouse, nursery and garden supplies. With over 30,000 high-quality products at competitive prices, we're here to help make managing your greenhouse easier and more efficient. Remaining in Rochester, New York since 1879, Harris Seeds markets vegetable and flower seeds as well as plants and growing supplies to gardeners and professional growers throughout the USA. Harris Seeds conducts extensive vegetable and flower variety trials in Rochester as well as many other areas of the Northeast. A germination lab inside its Rochester facility ensures that the seeds it sells are of the highest quality. At High Mowing Organic Seeds, we are committed to providing the highest quality, 100% organic seed. We have an in-house lab where we perform regular germination and purity tests and evaluate seedling vigor on all seed lots to ensure they pass our standards, which exceed federal germination standards.On our production farm we test varietal purity by growing out seed from a given lot. We routinely grow out several hundred plants of certain varieties to ensure a minimal percentage of off-types in the strain. We also monitor for seed borne disease and screen for disease in our production fields. All of these steps ensure that you are getting the cleanest, best germinating organic seed on the market with highest degree of genetic purity. The Jiffy Hitch System is comprised of a male Jiffy Hitch attached to a farm tractor's three point hitch lower lift arms and also to a hydraulic top link, or to a manual top link. It is then coupled up with a female Jiffy Hitch that bolts onto the farm implement. That union completes the safest, and easiest, quick hitch connection on the market today. You may connect or disconnect your farm tractor from any farm implement without leaving the comfort of the tractor seat. At Jiffy Hitch Systems, manual top links and hydraulic top links to include remote controlled hydraulic top links and self contained hydraulic top links (for those who do not have rear hydraulic remotes on their farm tractors). The self contained hydraulic top link has its' own reservoir system to operate the hydraulic cylinder. Combining a hydraulic top link with the Jiffy Hitch three point hitch system, allows the farm tractor operator a greater versatility when making adjustments to the draw angles, and pitch directions needed when working with farm implements. We stand behind every Jiffy Hitch we sell, as well as our remote hydraulic top links, the self contained hydraulic top links, our new farm tractors, farm implements. Johnny's Selected Seeds provides quality vegetable, herb, and flower seeds as well as tools, equipment, and supplies to critical home gardeners and small commercial growers. An independent company since 1973 and employee owned since 2006, Johnny's prides itself on its superior product, research, technical information, and customer service. All of Johnny's seeds and accessories are thoroughly tested at the company's certified organic farm in Albion, Maine and are backed by a 100% satisfaction guarantee. For more information, visit us at johnnyseeds.com. Morgan County Seeds in Barnett, MO, offers top-quality seeds at an affordable price, plus greenhouse supplies, fertilizers, drip irrigation and farm equipment. Free catalog. Phone 573-378-2655. Now offering Zimmerman high tunnels. One of the strongest and best tunnels in the industry.Tunnels can either be equipped with a drop down curtain or roll up sides. NE Seed Co mmercial Seed Company — Conventional, Organic, Heirloom and Hybrid Seeds for Growers of All Sizes. NE Seed offers the vegetable, flower and herb varieties consumers expect to buy at the market, roadside stand or farmers market. Neptune's Harvest is a division of Ocean Crest Seafoods Inc., established in 1965 as a wholesale fish and seafood company. Still today, our Neptune's Harvest Organic Fertilizer gets made from fresh caught North Atlantic fish. Right on the docks of Gloucester, MA. Unlike a fish emulsion, our fertilizers are produced using a unique cold process "without cooking out all the good stuff". Best of all, it works great on everything that grows! A leader of sustainable agriculture, our goal is to aid farmers and gardeners produce good, healthy food and plants, as well as improve the quality of the soil and the environment. As we have expanded into other related areas such as organic lawn and turf care, we continue to strive to help make our land safe for future generations. 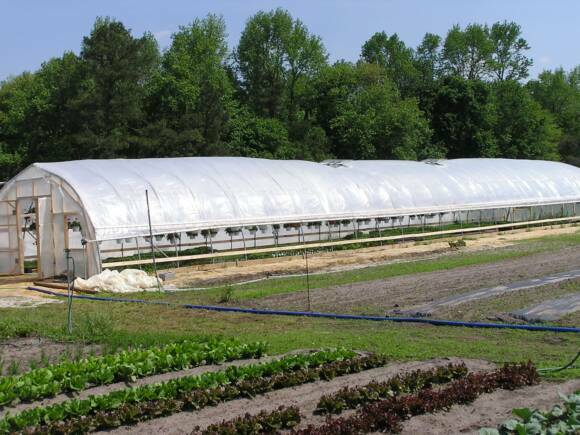 Poly-Tex manufactures high tunnels, commercial and retail greenhouses, shade systems and displays with the user in mind; easy to set up and low in cost. From the basic sidewalk display fixture to the top-of-the-line greenhouse system, Poly-Tex has the solution to make you grow! For more information, call 1-800-852-3443 or visit our web site at www.poly-tex.com . Seeds from Italy is the exclusive U.S. distributor for Franchi Sementi, Italy's oldest family-owned seed company. We sell more than 400 varieties of traditional, open-pollinated Italian vegetables, herbs & flowers. Seeds are sealed in big, colorful packets and seed counts are extremely generous. Great value for your money! Phone 785-748-0959. We are passionate about providing you with the highest quality custom stickers, labels, decals, iron-on labels and temporary tattoos. Our website is built with proprietary die-cutting technology to help you make and order your products exactly as you need them. This means you can order any quantity (as little as one), in any size and shape you need. We offer a 100% satisfaction guarantee – and really hope you love the products you order. Valley Oak Tool Company makes wheel hoes, which are human-powered walk-behind tools that make weeding quick and easy. 415-868-9522 8 a.m. to 6 p.m. Pacific time any day, please. Vermont Compost Company was founded by organic growing professionals.. We are dedicated to making professional grade composts and living media for growing food crops and ornamental plants. Our compost, potting soils, and custom growing media are acceptable for use in certified organic crop production. WeedGuardPlus is the premier all-natural and 100% biodegradable weed-suppressing mulch. It reduces weeding costs, eliminates removal and disposal costs, and improves water use efficiency. Ideal for commercial/conventional growers, organic growers, greenhouse growers, landscapers, and home gardeners. Wild Garden Seed is a family-owned business offering o rganic seed of salad greens and herbs. Our ecological approach to plant breeding generates superior strains and original varieties for farmers who don't use chemical protectants and fertilizers. Phone 541-929-4068. 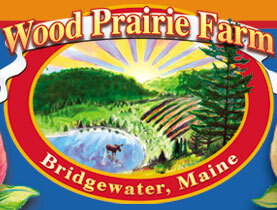 Wood Prairie Farm is a family-run operation that grows and direct markets the best double-certified organic Seed Potatoes to customers in all 50 states. We also sell excellent organic vegetable seed. Free catalog. Phone 800-829-9765.